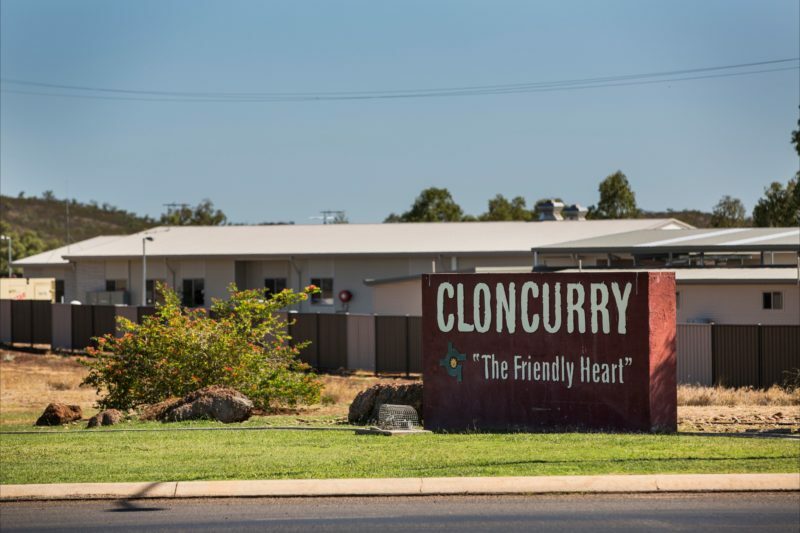 Burke and Wills found beauty in Cloncurry on their journey through in 1861; now, take your turn when you stay with Discovery Parks – Cloncurry. Their caravan park is a great base to explore ‘The Curry’. This is the birthplace of the Royal Flying Doctor Service (RFDS), launched by Reverend John Flynn in the 1920s. Learn how Flynn harnessed the emerging technology of pedal radio to pioneer outback communication. Stop into the Mary Kathleen Memorial Park and Museum to view Robert O’Hara Burke’s water bottle, local history and photographs, and a celebrated rock and mineral display. Well appointed, air-conditioned cabin perfect for a family of four. Comfortable, open plan accommodation with a large, shady veranda. The cabin has a double bed and single bunk beds, kitchenette with microwave, bar size fridge, kettle and toaster, bathroom with toilet, and open space living with lounge chair and LCD television. Great for groups of five travellers, the open plan standard cabin has a good-sized kitchenette for self catering, air-conditioning and bathroom facilities. 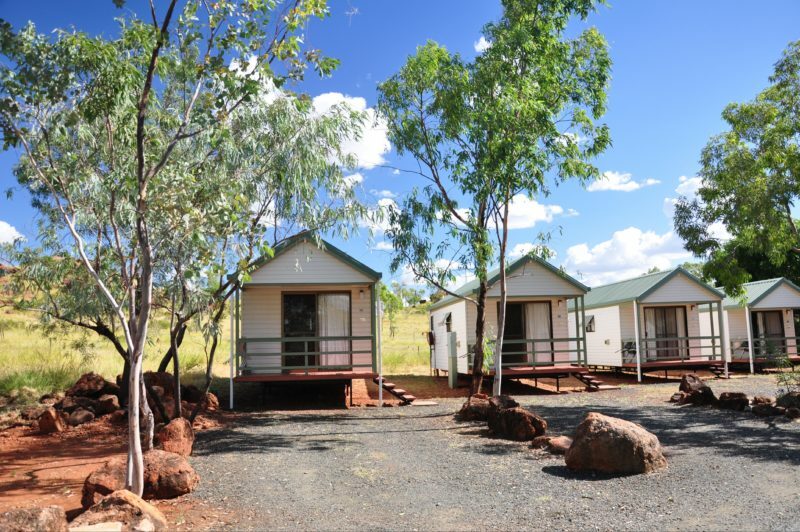 The cabin contains a double bed, single bunks, and a single bed, with linen fully provided. 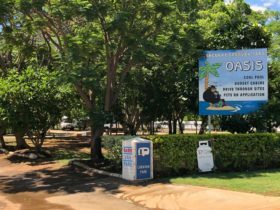 There is a kitchenette with microwave, bar size fridge, kettle and toaster, bathroom with toilet, and open space living with lounge chair and LCD television. The Standard Motel Room is perfect for those travelling on their own. If you’re looking for a cabin with all the conveniences, or need a break from camping, these rooms will suit your needs. The room contains a king single bed, bar fridge, ceiling fan, ensuite, kettle, split system reverse cycle air-conditioning, television, DVD player, and wardrobe. Just drive in, park and hook in to these powered sites. They have everything you need – an amenities block close by and outdoor cooking facilities. Suitable for caravan, camper van or motorhome. 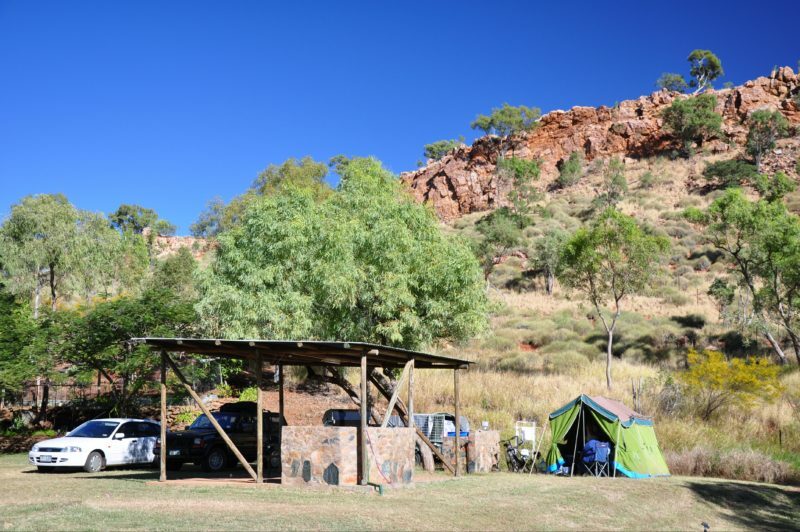 If you’d like to pitch a tent, you’ll love their generous grassed tent sites, with amenity block nearby. Take advantage of the barbecue or camp kitchen, too.